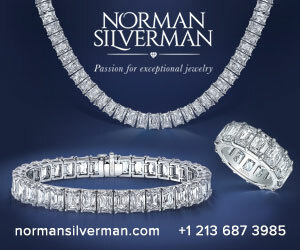 Show the role natural diamonds have in our lives. DPA’s primary target is “next-gen” consumers; i.e. Millennials and their younger siblings of Gen-Z, said Gorvitz. “Gen X and Boomers have such a great relationship with diamonds, but Millennials and Gen Z are a slightly different crowd.” At 80 million consumers, they’re the largest population segment in the United States but they have a different relationship with diamonds than generations before them, she emphasized. DPA, De Beers’ and other research shows that diamonds form the ultimate status symbol, represent ritualistic giving, and are forever, said Gorvitz. But these next-gen consumers are less focused on traditional rituals and symbols, so DPA is seeking to expand those perceptions and speak directly to their generational values. “The way to facilitate a relationship change with diamonds is through a perception shift,” she explained. The “Real Is Rare, Real Is A Diamond,” points to diamonds as billion-year old treasures of the earth and the ultimate symbol of sincerity, something that will resonate with younger consumers. “The message in the Real Is Rare campaign is about authenticity, and young people want that message,” she emphasized. 2018 was DPA’s first year of full investment. The organization spent $45 million in the United States on film, print, out-of-home, digital display, and social, netting 1.2 billion media impressions hitting 98% of the target market. 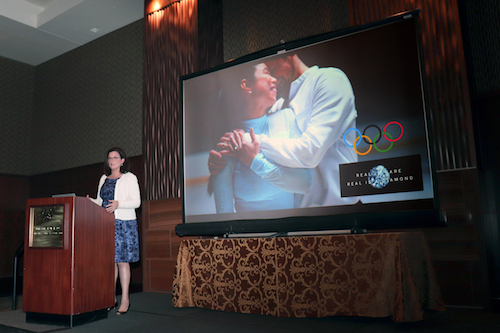 The 'Real Is Rare' message got tremendous exposure during the 2018 Winter Olympics, above, and the Royal Wedding, below. In addition to the core assets mentioned above, DPA created custom content with various media partners, such as NBC Universal, three custom commercials that ran across the Olympics on TV and online and, of course, the wedding of Prince Harry to Meghan Markle, which Gorvitz called a “dream diamond moment.” Priyanka Chopra’s wedding to Nick Jonas provided additional opportunities for the diamond message, as did Gwyneth Paltrow’s wedding to Brad Falchuk, when DPA helped industry partners sell jewelry on the website of Paltrow’s GOOP brand. Custom vehicles in print included Town & Country and O, The Oprah Magazine, where a four-page custom piece about diamonds ran front-of-book in both publications—most notably in Oprah’s famous “Favorite Things” issue in December. 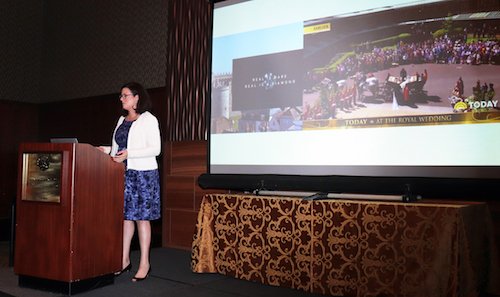 It was the first time the two Hearst publications ever collaborated on a piece of content, which also included an online video, said Gorvitz. Also important is the Real Is a Diamond Instagram channel, which DPA uses to educate and drive positive diamond conversations. Meanwhile, on Spotify, conversation popped up around the music used in DPA spots, which led DPA to have whole pieces of music created around the spots, and push it out to the people who wanted to know more about it. Other key findings about diamond messaging are that the word “natural” conveys emotion, whereas “mined” doesn’t. Natural means rare, scarce, difficult to find, and finite, and very expensive to make into jewelry. It’s real emotional value that takes on symbolic meaning in the wearer’s lives, Gorvitz said, and that value increases over time. 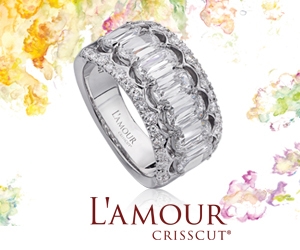 What else resonates with consumers is ways that diamonds help make the world a better place, both through economic opportunity in diamond countries and environmental protection initiatives, which all combine to create a symbol of authenticity and preciousness. “We’re an industry that does a lot of good in a lot of the world. We support more than 10 million people around the world,” says Gorvitz. Truth about the eco-footprint of lab-grown stones. Despite implications that growing diamonds is better than mining them, only a few growers can claim they’re using only renewable energy. The rest—especially growers in Asia where a significant percentage of the stones come from—are using electricity generated by fossil fuels. DPA’s messaging, while geared to consumers to address the differences in a factual way, also works for the trade also. A key part of DPA’s mission is to have trade support materials available for free. These will include, among other initiatives, shareable content emails three times a month, a special trade portal on the DPA site, and a three-module e-learning course. Centurion will host a special free webinar about these assets on Friday, February 15. Register here. Working closely with retailers to amplify, activate, and reinforce the natural diamond advocacy program. Working with some other industry organizations on terminology on diamond in wake of the FTC’s revised Guidelines. Project ASSURE: a guide to all the major [diamond detection] machines on the market. A big announcement will be forthcoming, but DPA worked with Underwriters Laboratories (UL) and a scientific team to rate those machines. Powerful assets to explain Real Is Rare/Real Is A Diamond and make a direct link to natural diamonds. I would like to see the research behind the statement, “LGD consume 40% more energy, carat for carat, than natural diamond”. 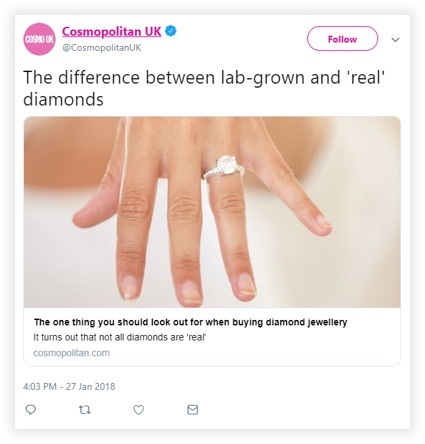 I find this claim to be false and misleading, being a grower of diamond myself. Care to back it up?